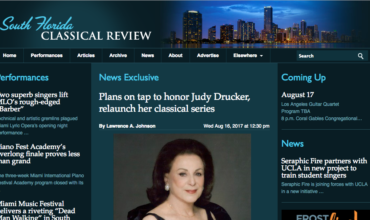 A revival of Judy Drucker’s Miami classical series? Can the Concert Association of Florida rise again? 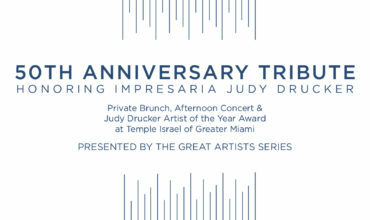 Spearheaded by Mark Bryn, Drucker’s friend and attorney, the Great Artists Series will debut November 19 with a 50th Anniversary concert honoring Miami’s celebrated impresaria. The event will mark the half-century since Drucker’s first concert presentation at Temple Beth Sholom in 1967. 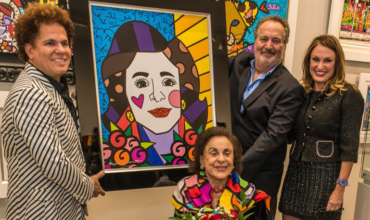 WE WERE PLEASED TO BE INVOLVED WITH YOUR LAST (& BEST) VENTURE & WISH YOU GREAT LUCK IN BRINGING ‘CULTURE’ BACK TO MIAMI!